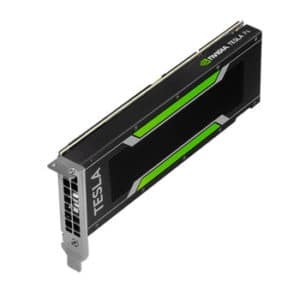 The NVIDIA Tesla K80 GPU Accelerator is built on the NVIDIA Kepler™ technology and is designed for the most demanding computational tasks, combining 24 GB of memory with blazing-fast memory bandwidth and leading compute performance for single and double precision workloads. Equipped with the latest NVIDIA GPU Boost™ technology, the Tesla K80 intelligently monitors GPU usage to maximize throughput1 and outperforms CPUs by up to 10x. 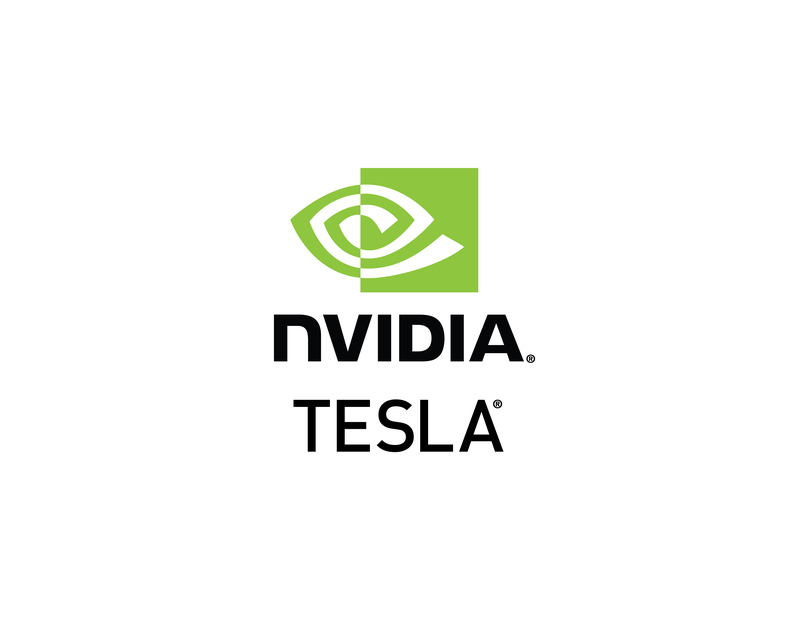 The NVIDIA® Tesla® K80 graphics processing unit (GPU) is a PCI Express, dual-slot computing module in the Tesla (267 mm length) form factor comprising of two Tesla K80 GPUs. The Tesla K80 GPU Accelerator is designed for servers and offers a total of 24 GB of GDDR5 on-board memory (12 GB per GPU) and supports PCI Express Gen3. The Tesla K80 is only available with a passive heat sink, which requires externally generated airflow for cooling. The Tesla K80 GPU Accelerator boards ship with ECC enabled by default protecting the register files, cache and DRAM. With ECC enabled, some of the memory is used for the ECC bits, so the user available memory is reduced by ~6.25%. On the Tesla K80 the total available memory with ECC turned on will be ~22.5 GB. The NVIDIA GPU Boost™ feature makes use of any power headroom by raising the core clock to a higher frequency. When an application is being run and the GPU has thermal headroom, the driver will automatically raise the clocks to ensure maximum utilization and performance. The Tesla K80 ships with Autoboost enabled by default. Autoboost mode means that when the end user starts using the Tesla K80 for the first time, the GPUs will start at base clock and raise the core clock to higher levels automatically as long as the boards stays within the 300 W power limit. If the end user does not want the Tesla K80 clocks to boost automatically, the end-user can disable this feature and lock the module to a clock supported by the GPU. Having the boards boost automatically will be useful in scenarios where the workloads have a lot of headroom, as each GPU works independently and is not required to run in lock step with all the GPUs in the cluster. Experience 10x faster application performance. 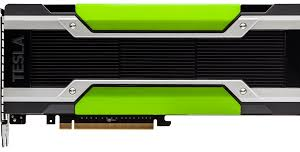 Accelerate your most demanding single and double precision workloads in scientific computing, seismic processing, and data analytics applications by upgrading to the NVIDIA Tesla K80 dual-GPU accelerator. It delivers up to 2.2x faster performance than the Tesla K20X, up to 2.5x faster performance than the Tesla K10, and up to 10x faster performance than CPUs on real-world applications. 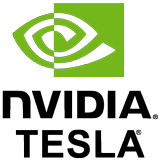 The Tesla K80 features: > Up to 2.91 Teraflops of double precision performance with NVIDIA GPU Boost™ > Up to 8.74 Terfalops of single precision performance with NVIDIA GPU Boost > 24 GB of GDDR5 memory (12 GB per GPU) > 480 GB/sec memory bandwidth per board > 2x application throughput with the two onboard GPUs As the latest addition to the Tesla Accelerated Computing Platform, the Tesla K80 leverages a rich software, hardware, and support eco-system to accelerate the most demanding workloads in the datacenter.